Many companies, including probably yours, spend a lot of time, effort, and money trying to maintain high standards for the environment, health, and safety (EHS). And rightly so. And those EHS often involve an EHS training component, as it should. One reason EHS training is important is that regulatory agencies such as OSHA, MSHA, EPA, DOT, and others require it. They have requirements about when to train and how much to train. They even tell you it has to be of a certain quality. For example, OSHA tells you that EHS training must be effective, that you have to ensure it’s effective through some form of assessment, and that you have to provide the training in a language the employee understands. And yet, when you get your first job in EHS, nobody sits you down and teaches you how to design, create, and deliver effective EHS training. Nobody gives you a nice book on that, and it’s not spelled out in the EHS regulations. But fortunately, we’ve got ANSI Z490.1 for that. ANSI Z490.1, titled “Criteria for Accepted Practices in Safety, Health and Environmental Training,” provides a national standard for creating, maintaining, and evaluating an EHS training program. Handy, huh? In this article, we’ll give you a better idea of what Z490.1 is about and why you should buy a copy for yourself and use it. First, let’s deal with some common questions. Read more about ANSI at their FAQs page or check out this ANSI Overview they created. 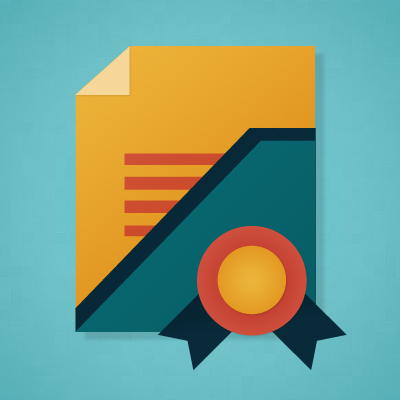 Do ANSI standards have the power of law? No, not by themselves. But in some cases, a regulatory agency may include an ANSI standard within its own standard, stating that people should follow the ANSI standard in given circumstances. OSHA calls this incorporation by reference. ANSI has created a portal for its standards that have been incorporated by reference. Can compliance (or non-compliance) with an ANSI standard be brought up in court cases? Yes. Complying with an ANSI standard may help you if you wind up in court. Not complying with an ANSI standard may hurt you in court. In court, you don’t want to be called out as totally ignorant of a national best practice or not being in compliance of a standard like this. Basically, its creators took accepted best practices in the training industry and put them into an EHS context. ASSE, in case you don’t know, is the American Society of Safety Engineers. Pretty credible folks on the topic of EHS. When was ANSI Z490.1 last revised? Version 4 was just published in 2016. The previous version (Version 3) was published in 2009. This article is based on the most recent, 2016 version of ANSI Z490.1. Where can I find and read ANSI Z490.1? Note that this isn’t free. The 2016 version will set you back $77 for a PDF. How many sections does ANSI Z490.1 include and what are they? What does ANSI Z490.1 say about EHS training development? The standard covers training development in section 4. Developing in this case means both designing and then creating the EHS training. Designing involves determining if the training is required or helpful; finding the best type of training to support the employee’s learning needs; and thinking of ways to best support learner understanding and remembering. Creating in this case means making the materials the employees will see during the training–whether it be a PowerPoint presentation you’ll project during a class, print-based worksheets, materials for hands-on exercises, an online course, a virtual reality 3D-simulation, or something else. 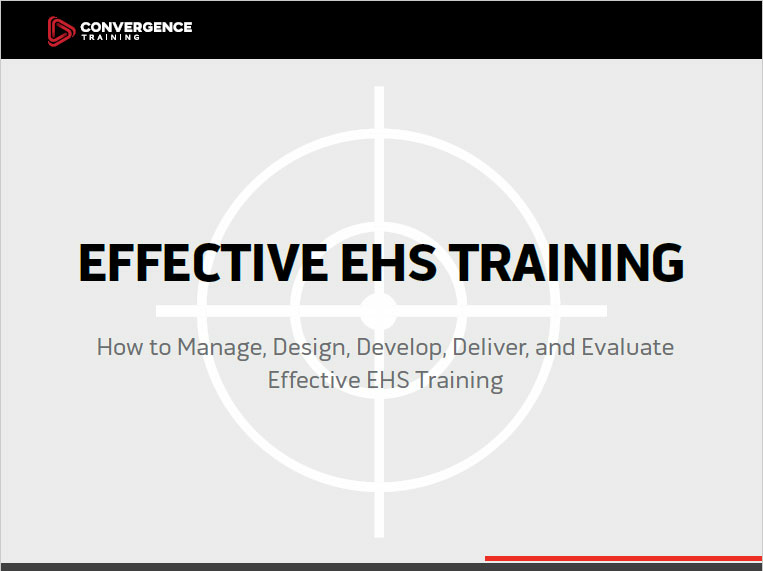 For more on this, check out our article on how to develop EHS training. What does ANSI Z490.1 say about EHS training delivery? The standard covers training delivery in section 5. Delivery means the actual process of getting the training content to the employees. So this can include standing in front of a group of employees in a classroom setting; performing a hands-on demonstration and then observing employee skill demonstrations in the field; holding a webinar; or delivering the training online to a desktop computer or mobile phone. In all cases, it includes proper management of the people/interpersonal aspects but also of any included technological and facilities aspects. For more on this, check our article on how to deliver EHS training. What does ANSI Z490.1 say about EHS training evaluation? The standard covers training evaluation in section 6. Evaluation means checking to see if your EHS training was effective. And the purpose of checking to see if it’s effective is to improve it if necessary. There are many different methods and models for evaluating training effectiveness, but one of the most commonly used is the Kirkpatrick Four-Level Evaluation Model, and that’s what Z490.1 patterns itself on. You can read more about this in our article about how to evaluate the effectiveness of EHS training. Where can I read more about ANSI Z490.z and effective EHS training? We recommend you buy a copy, which will cost you somewhere in the neighborhood of $77 US. You can buy it here. You might also want to read our article on effective safety training and/or watch our free, recorded webinar on effective safety training. To learn even more about effective training practices for environmental, health, and safety training, we suggest you download the free guide to EHS training below. What about the Upcoming ANSI Z490.2 Standard on Virtual EHS Training? Yes, there IS a companion standard on “virtual” EHS training coming up soon. I know because I’m on the committee putting it together. For more information about Z490.2, check out the latest update on it I have published at the Convergence Training blog. Also, keep your eyes on the list of speakers at the upcoming ASSE Safety 2018 conference, because I’ve applied to present at that conference along with Morgan Bliss of Central Washington University (and ASSE) and John Mroszcyk, who’s the head of the Z490.1/Z490.2 committees. Hope you found that helpful, and don’t forget to check out the whole series and to download the free guide below. I would like to know of the international experience,if you know of any, in assimilating that standard. I personally have not worked with a non-US customer to integrate Z490.1, but there’s nothing specific to being a US company within it. We plan on writing some additional, more in-depth materials on this. Keep your eye on our blog and maybe we’ll come out with something that might help you. Just wondered if you had any information on the status of ISO 45001? I am not an insider, but I attended a presentation at ASSE’s Safety 2017 conference and folks on the committee said they’d be done with 45001 before the next conference (mid-summer, 2018).